Not to long ago I put up a post about the new makeup items coming soon to Priceline, which I got a sneak peek at when I went to their annual Beauty Prescription Live event a couple of weeks ago. In that post I did mention there was also a bunch of skincare and haircare items I had to share with you guys as well, so here they are! A little bit of a helpful twist on their original heat protectant spray. For all my blonde babes out there going through the never ending struggle of trying to get rid of those brassy tones, here's a new weapon to put in your arsenal. This heat protectant spray will not only do the very important job of protecting your precious locks from those nasty heat styling tools, the violet tone of the spray means it will also work to give your hair a lovely blonde/white colour. 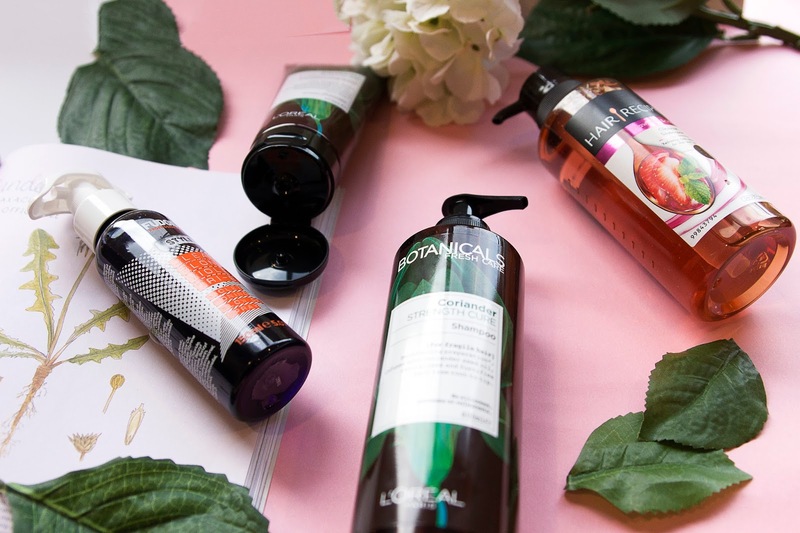 This is the latest range of haircare products to hit the shelves from Loreal. 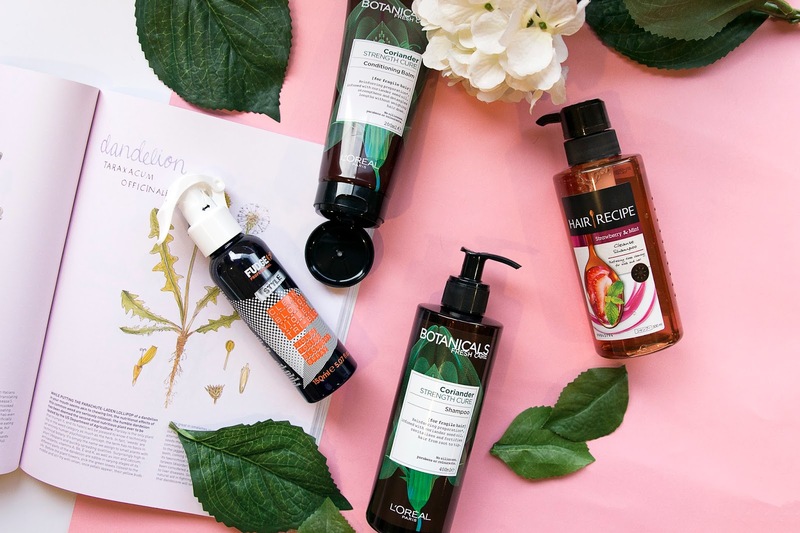 Their Botanicals range has a variety of products, each aiming to give a different benefit to your hair. I picked up the Coriander shampoo and conditioner (I hear many of my friends shriek in horror at the word coriander, but I personally love the smell). The coriander range aims to strengthen and revitalise your hair, which is perfect for someone like me who colours their hair and therefore tends to damage it. This is a new brand coming to Priceline shelves soon. 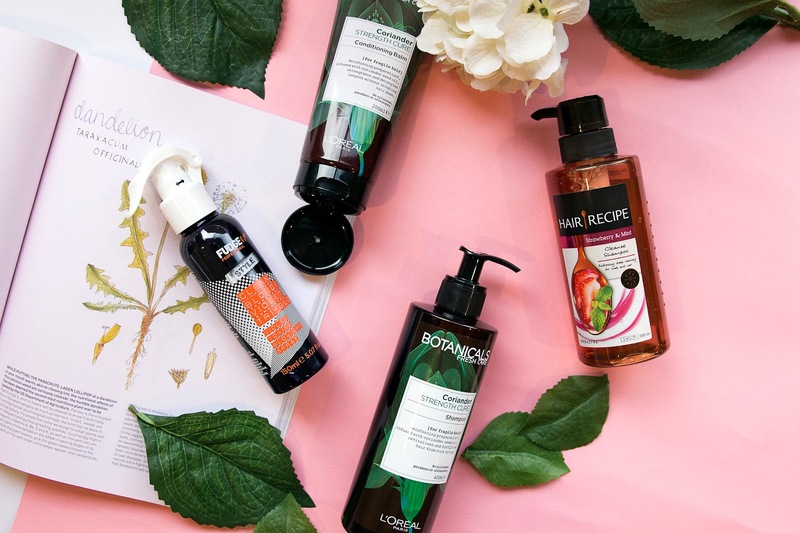 For a bit of a different take on hair care, this brand looks at their products as if they're courses in a meal. Their shampoo and conditioner could be considered the first few courses of the meal, and the product which I have here, the Cleanse Shampoo, could be considered the dessert. You can use this amazing smelling product to really help cleanse any product that might have built up in your hair from the week of dry shampoo usage or from all the products you used to hold your hair in place for that night out. Burt's Bees Cucumber & Sage Facial Cleansing Towelettes and Lip Balm. Burt's Bees have a new formulation for their Facial Cleansing Towelettes and their cult classic lip blam. The cucumber and sage combination gives the products a really fresh smell and feel while helping to clean and hydrate your face and lips. These guys have been in the face mask game for ages, and they're still killing it. 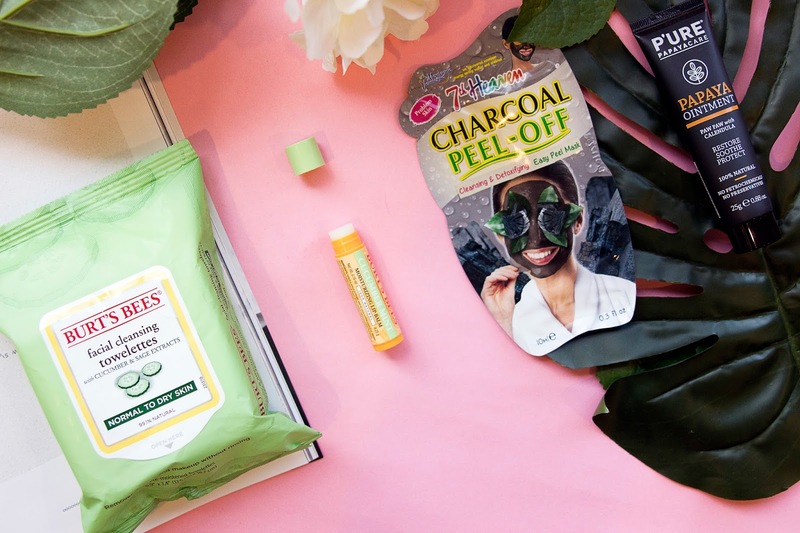 Their latest mask is the Charcoal Peel-Off Mask. 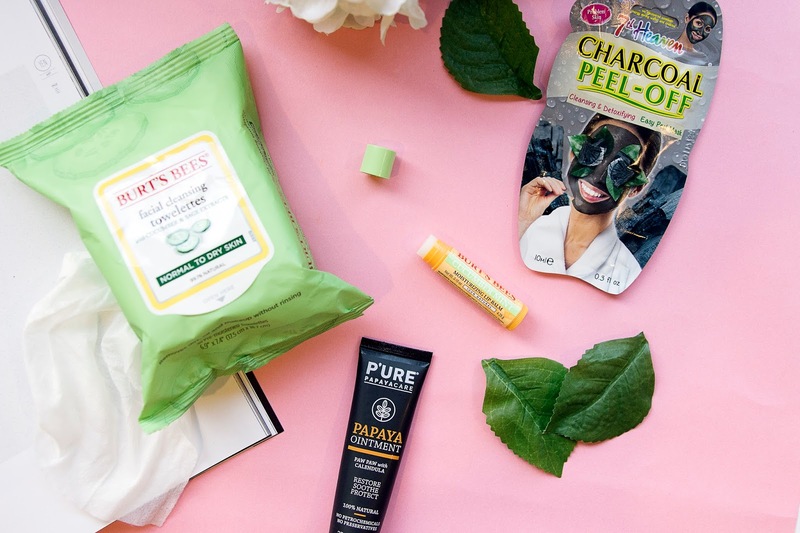 We all know what a huge trend charcoal is and how good it can make our skin feel, but washing off these black masks can be messy. This peel-off formulation helps to take away that messy step and make the whole mask process that little bit easier. Most of us probably have a little red tub of Papaw ointment in our handbag, but lets be honest, the red colour isn't the most trendy looking thing going. If you're looking for something with all the same awesome benefits but that just looks a little bit nicer, this snazzy black tub of Papaya Oil is your new go-to. Put this stuff on dry lips, rashes, cuts or mosquito bites. Most of us probably think to steer clean of the tanning oils these days thanks to our better awareness of the damage to much sun can have on our skin. While I personally like to keep away from excessive sun and keep my tans fake, there will always be those who love to sit in the sun and grab a little colour, and you do you if that's your preference. If you do enjoy sitting in the sun, there is now a much safer option thanks to Bondi Sands. Their new tanning oil will not only help you achieve a bronze glow, but it contains SPF 15 to help keep your skin protected. This latest product from Skin Physics is one I really want to put to the test and see if it can deliver the results it claims. This new cream claims to reduce cellulite and areas of stubborn fat, as well as have a positive effect on stretch marks with continual use. I'll have to start using this stuff and report back. Another new brand coming to Priceline shelves soon. 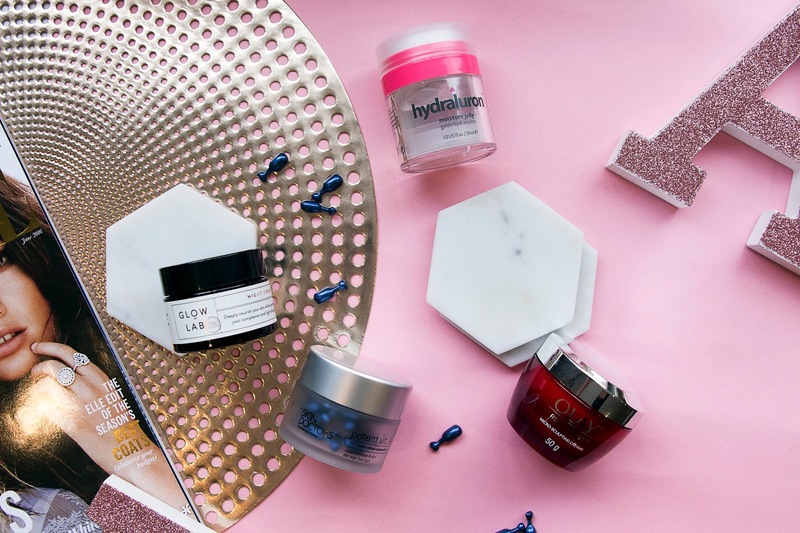 They have a wide range of skincare in beautiful packaging. One of the products I have here is their Body Lotion, which feels and smells amazing. I think this is going to become a pretty popular brand. Having a Britney Spears fragrance in my perfume collection again takes me back to my high school days when I would wear Fantasy. I don't often buy celebrity fragrances anymore, but that doesn't mean they're not any good, and in fact this one doesn't smell to bad, I'll certainly be wearing it. Plus the bottle is quite cute as well. While this parricuar product isn't new, the formulation of it is. Aiming to firm your skin to help rid it of fine lines and wrinkles, as well reduce pores and improve the radiance and texture of your skin, the new formula contains advanced Amino-Peptide complex and Carob Fruit Extract as well as Hyaluronic Acid and Glycerol. 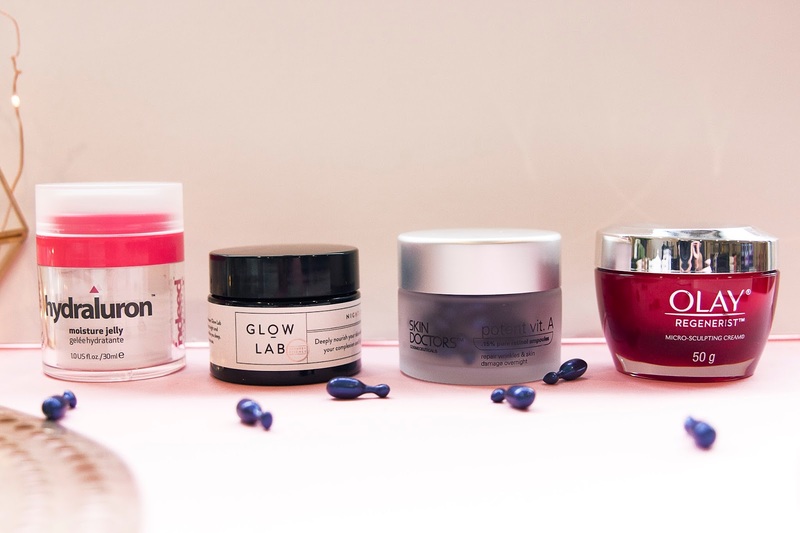 Another product from the new brand Glow Lab. 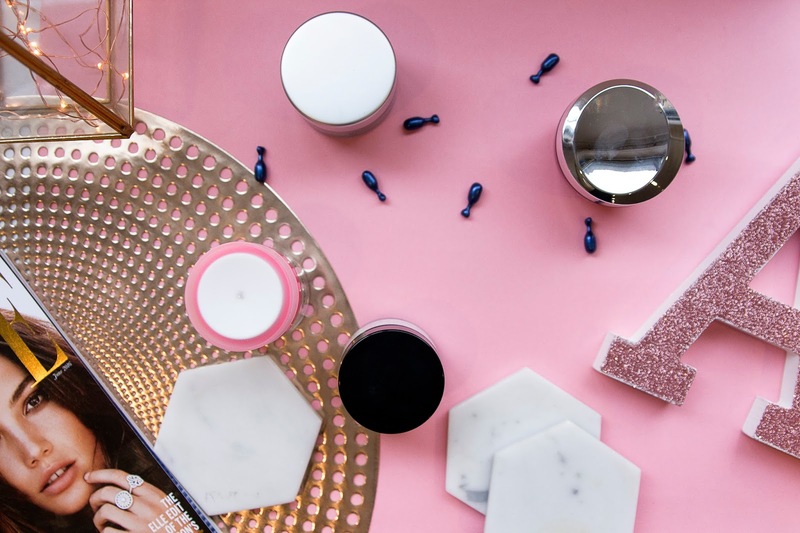 This cute little pot is going to look so trendy and stylish on your bathroom vanity, and the actual product will help keep your skin hydrated during the night. This product is one of the most unique things I've seen in skincare in a long time. These little blue capsules contain high concentrated formulations of vitamin A. When you crack one of these open at night and pop it on your skin, not only will it be left feeling so insanely smooth I can't even begin to explain it, it also helps to reduce fine lines and wrinkles by helping to get rid of the aged layer of skin, revealing a younger and fresh layer, without having to go through the intensive facial peel process. 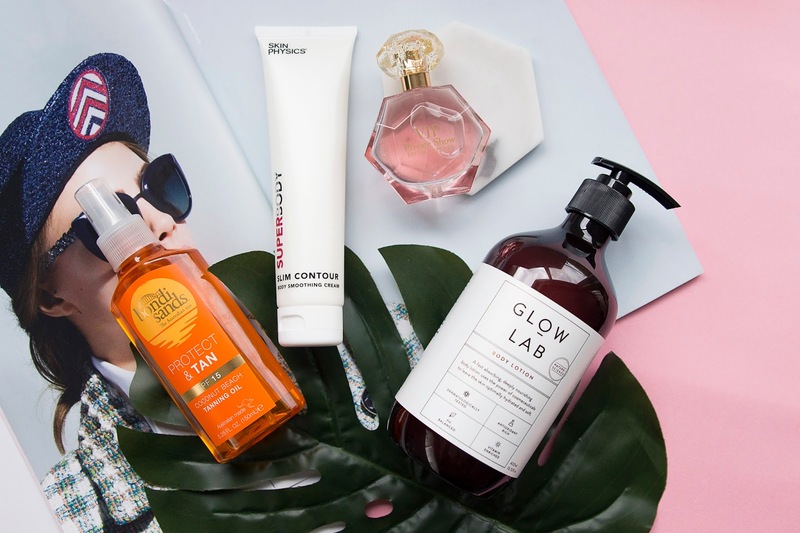 This brand is known for being a little bit more on the luxury end of fake tanning, and they have a new product to add to their lineup. 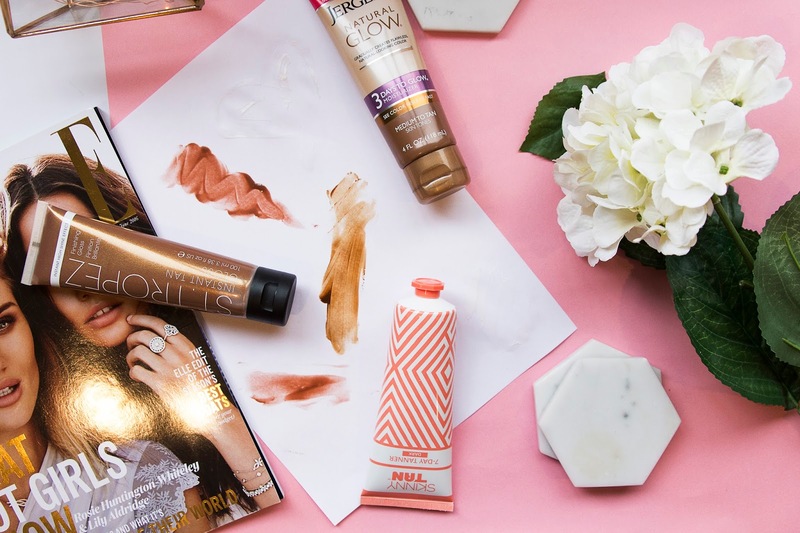 If you're looking to add a little bit more shimmer and glow to your fake tan for a night out, their new Instant Tan Finishing Gloss is what you need. Pop this stuff on and head out looking stunning, and then wash it off when you get back home. I'm interested to test this out and see if it transfers to clothing or not. There's another new brand of fake tan hitting Priceline shelves soon. These guys have actually been around for a while, but their packaging use to be white and brown, like most of the competitors. So they went away, redesigned and are now ready to hit the market again with their new packaging, which is much more fun and eye catching. Skinny Tan have a range of products to choose from, and the one I have here is their 7-Day Tanner, which claims to give you a nice, bronzy glow that will last for up to 7 days. This is a tanning brand that I've seen around but haven't ever tried before, and now they have a new product which I'm keen to give a test run. As the name suggests, this is a gradual tanner which aims to give you a nice tan within three days of use. 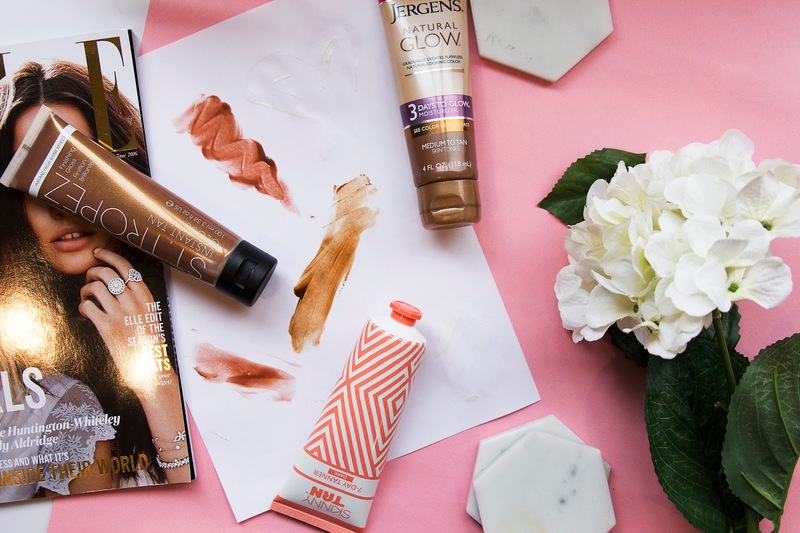 I use to be a huge gradual tanner fan, but now that fake tanning doesn't scare me as much, I tend to save these moisturisers for use once I have a tan, to help extend their life. Some exciting things coming to priceline! 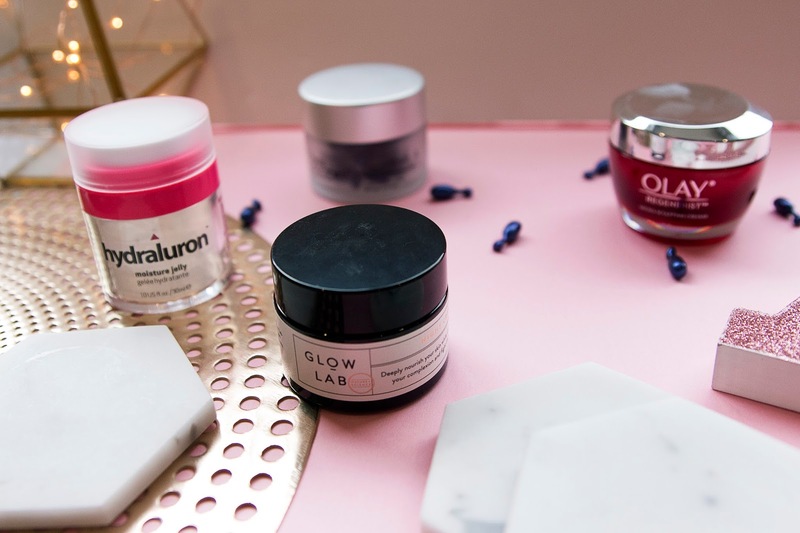 I love the look of Glow Lab! yes! the packaging is so pretty and the products are great to! What a haul! 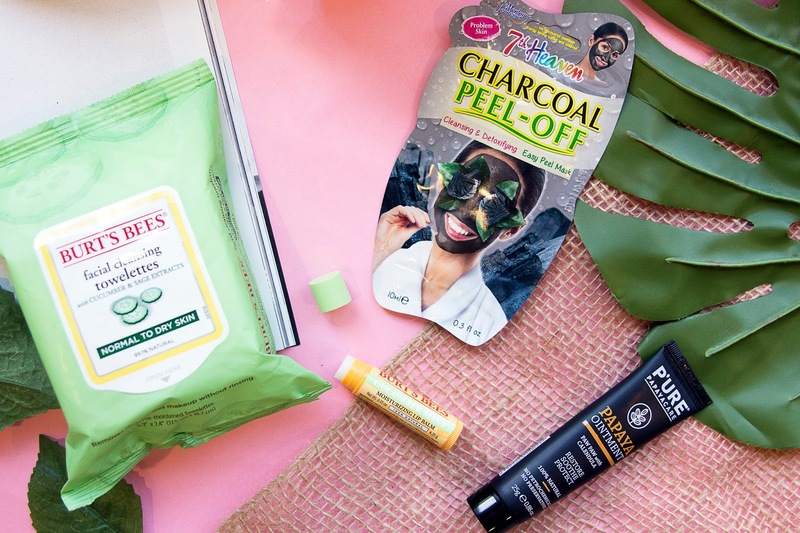 I definitely want a go at that charcoal mask!